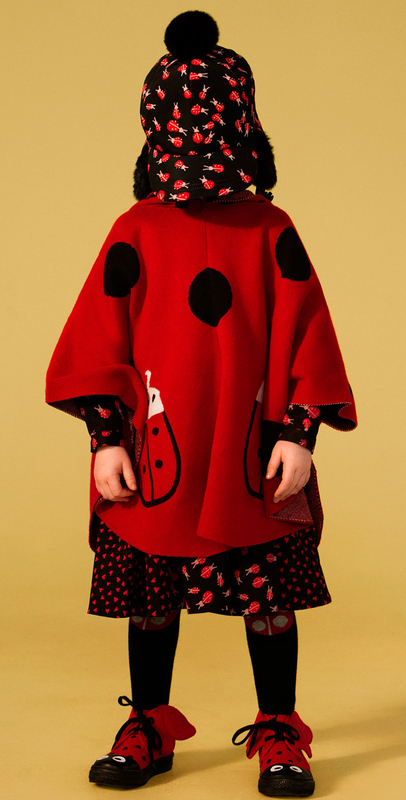 A striking red mid-weight knitted cape by Stella McCartney Kids for girls. 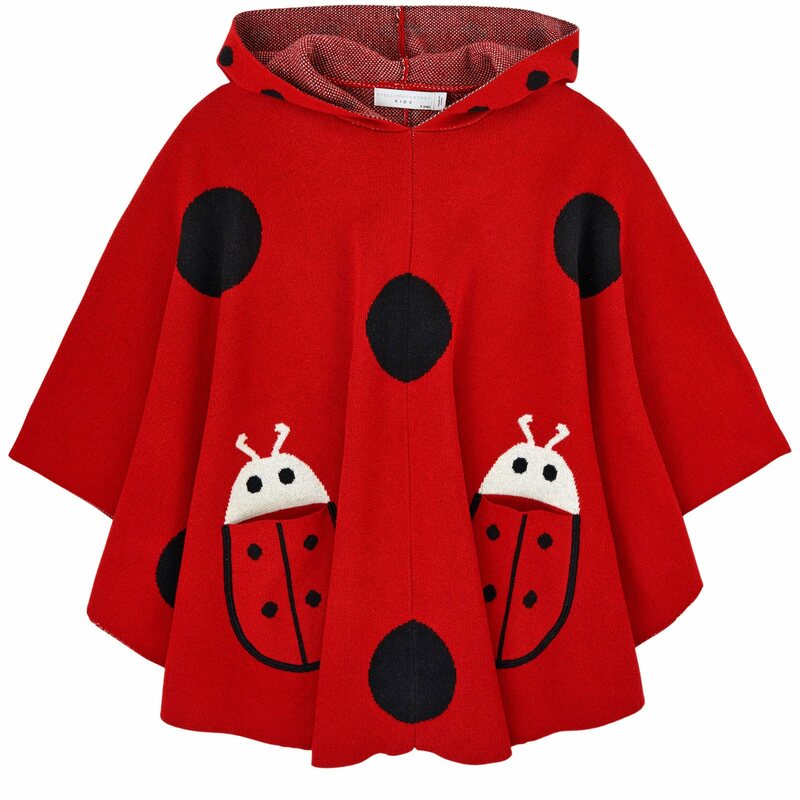 With adorable ladybug pockets and large spots and smaller spots on the attached hood. 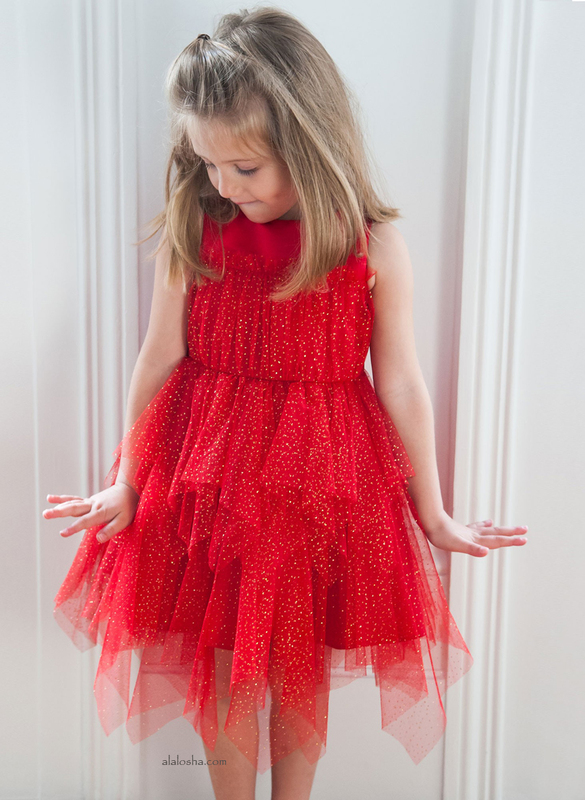 It has large poppers on the hem to create sleeves for warmth on cooler days.